At under $30 and with a one-year warranty the question then becomes why doesn’t everyone have an ice cream maker in their kitchen? Hamilton Beach has renewed their commitment to providing quality affordable small appliances for the modern home. A large 4-quart capacity means making one batch of ice cream per week would yield more than a serving of ice cream per day for a week for a family of 4 or up to 32 servings for a social occasion. For this price it is simply amazing that this machine will make this much ice cream in 25-40 minutes. All you have to do is add ice, salt, and your favorite mix before turning the machine on. Nothing could be easier. The smooth cream color easily blends in with your other appliances when it is setting on your counter or table top. The surface is easy to clean with a damp wash cloth so the cream color isn’t really a problem. The plastic construction is easy to clean and since it is such a low cost machine you don’t have the stress and worry that can come with combining rowdy kids and an expensive appliance they are actually interested in. The 6.5 lb. unfilled weight means it is easy for even kids to move this machine around. The Hamilton Beach is an excellent machine for those that want a basic ice cream maker for a low initial investment. This really is a machine that you can just set back and let do all the work for you. Hamilton Beach is a trusted brand that has been around for a long time. With more than 900 reviews averaging 4.5 out of 5 on Amazon, it is clear that there are many people that are satisfied with this handy large capacity ice cream maker. All in all, there is not a lot that is exceptional to say about this machine other than its simple operation, low cost, and large capacity, make it a good option for those looking for affordable ways to improve the offerings in their kitchen. If you have kids in sports and other after school groups, then an inexpensive maker like this can add a lot to meetings and after game celebrations. Summer BBQ season will be off to a great start when you pull out this handy little appliance and get started making ice cream like your friends and family have never tasted before! 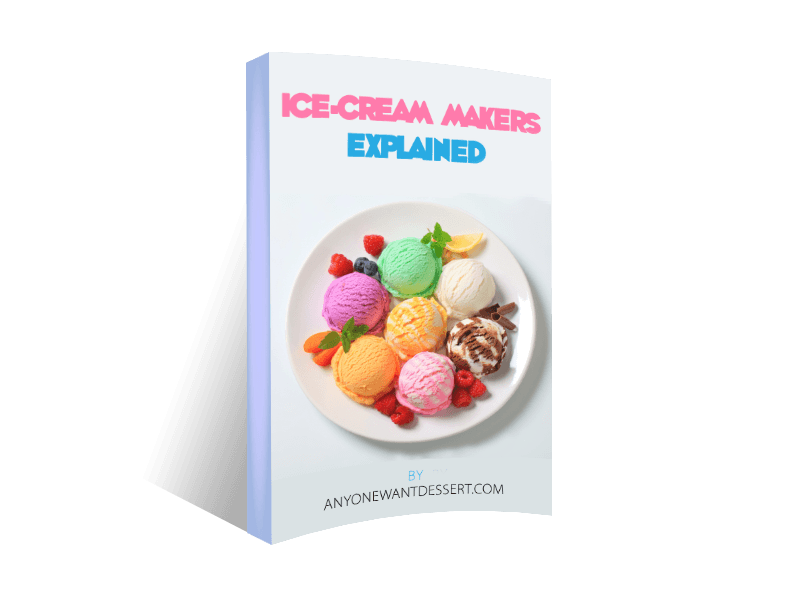 This ice cream maker includes 20 tested recipes with it that will encourage you to experiment with an array of stunning flavor combinations. All this and all you have to do is add ingredients and turn on the ice cream fun! The machine automatically stops when the ice cream is the right consistency. If you want soft serve style ice cream, you can stop the machine yourself. The see through lid lets you and your kids see all the action as the ingredients go from syrupy sweetness to creamy deliciousness in minutes!